Atlantico Tall Sideboard (msattasi) at Pure Design / Tables and Desks / Side Tables ::: Furniture for the Home, Office, Home Office, and More at Pure Design Online! 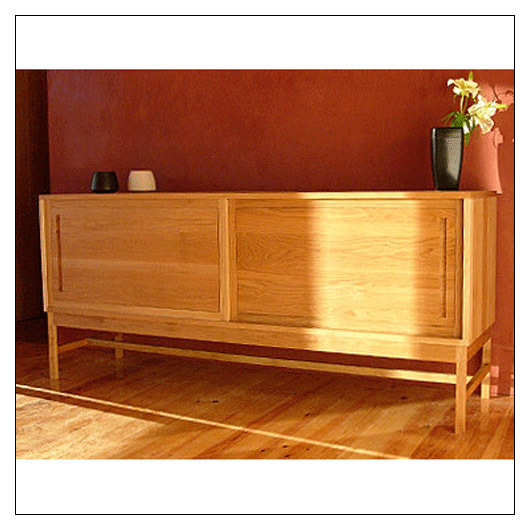 This long rectangular sideboard stands tall on slender legs. The interior offers generous compartments and drawers for organized storage in your dining room. The sliding doors with rebated handles conceal the goods within. The Atlantico collection is a new brand from the people behind De La Espada. This collection focuses on beautiful hardwood, elegant joinery and natural finishes.